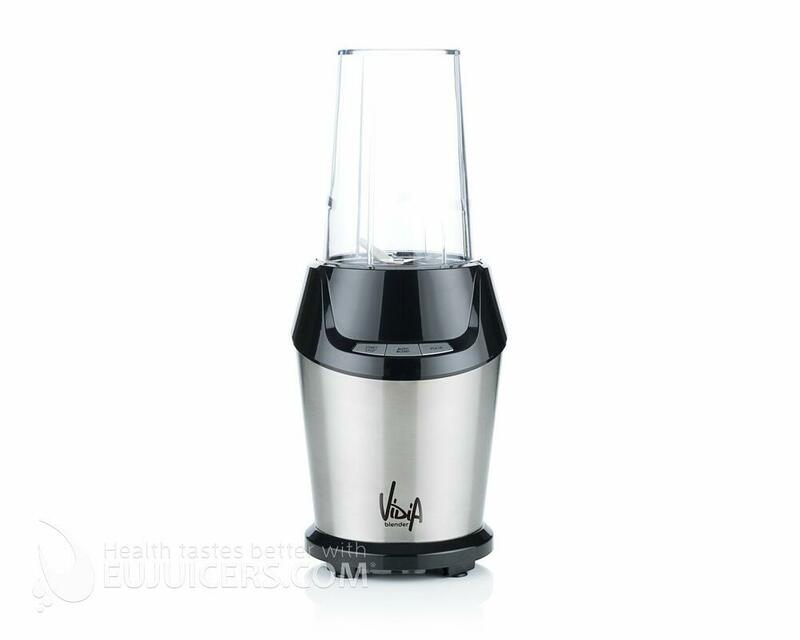 Perfect for smoothies on the go, the Vidia Personal Blender PBL-001 puts the power of large countertop blenders into a very compact size. 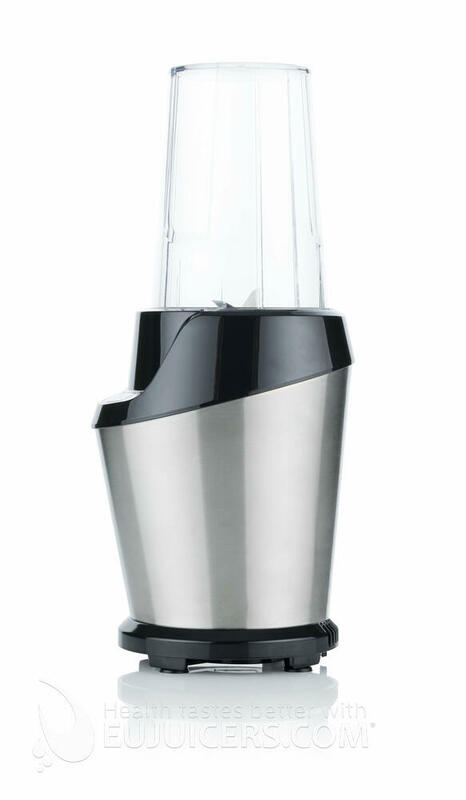 With a powerful 1000-watt motor spinning at 23,000 rpm, this blender makes velvety smoothies in 60 seconds. 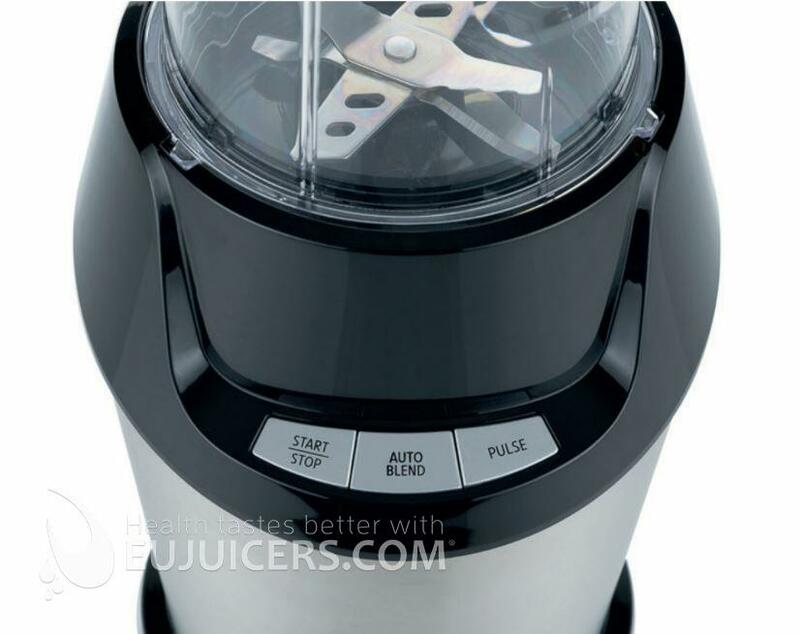 Just put in the ingredients, press the Auto Blend button, and in a minute your smoothie is ready to drink. You can blend directly in the 700-ml large jar, 500-ml medium jar, or the 350-ml cup with integrated handle and take it with you to work, the gym, or wherever you want. Or if you prefer, just use the Start button to run it as long as you need, up to 60 seconds. Convenient pulse button lets you break up any hard or stubborn chunks. The compact size fits any kitchen counter, and cleaning is super fast. Just unscrew the blade cap after blending and rinse it in water for a few seconds. Since the blending jars also act as drinking glasses, just put them in the dishwasher after drinking. 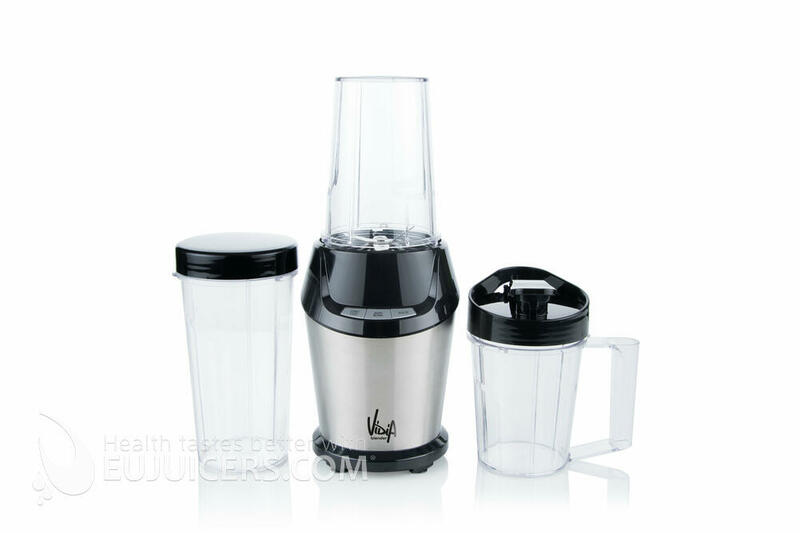 Included are a to-go lid with a sealable spout, and a solid screw-on lid for storing your smoothie for later.